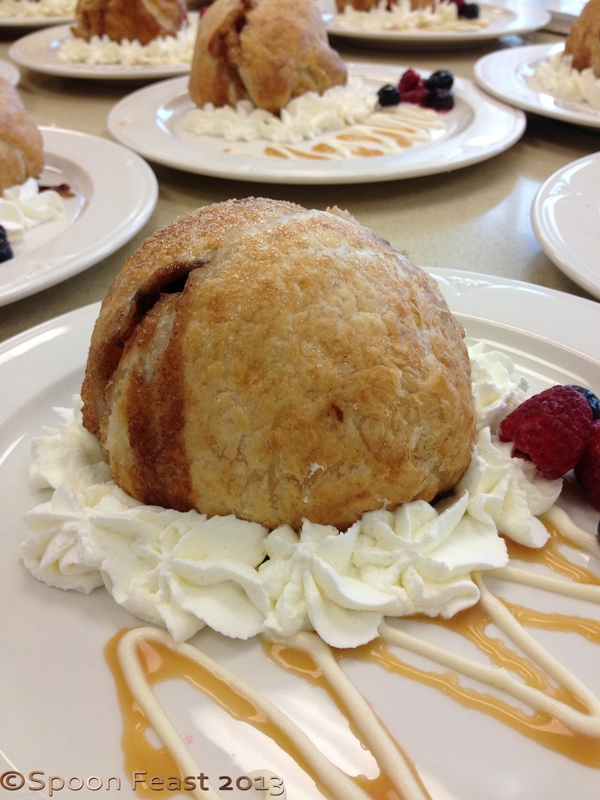 These warm apple dumplings are juicy, filled with brown sugar, cinnamon, raisins all wrapped in tender flaky crust. 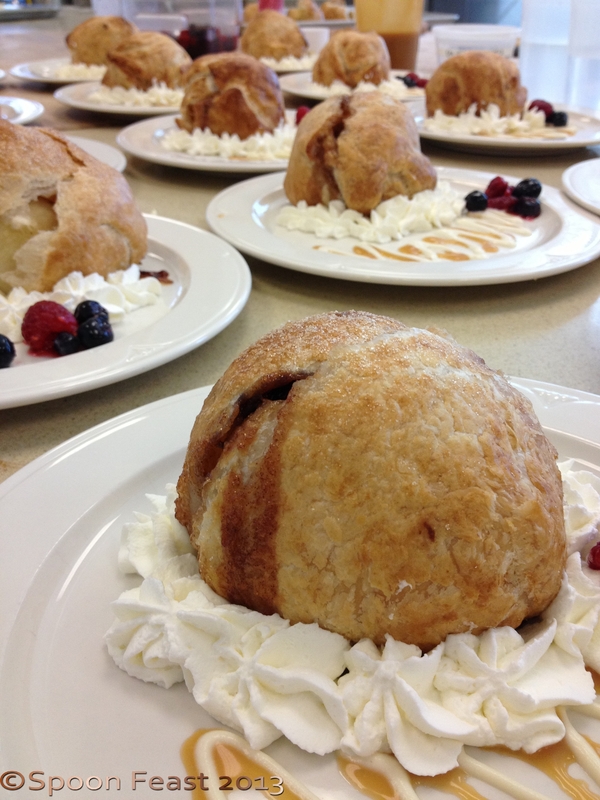 We made these in bakeshop this week and students discovered how tasty and delicious they are. Peel and core the apple, drizzle it with lemon juice. Core the apples, drizzle with lemon juice. 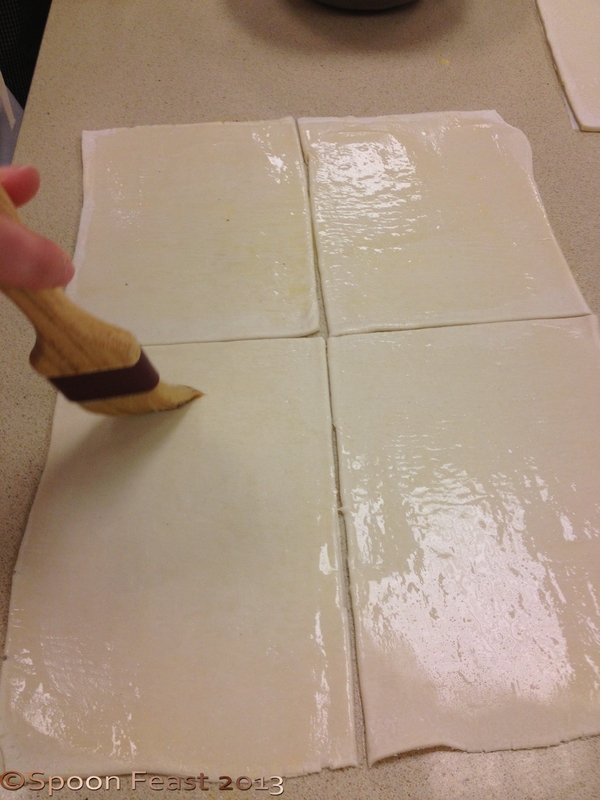 Cut the puff pastry to fit the apples; egg wash.
Wrap each apple in the pastry and egg wash again. Bake at 375 F Degrees for 35-40 minutes. 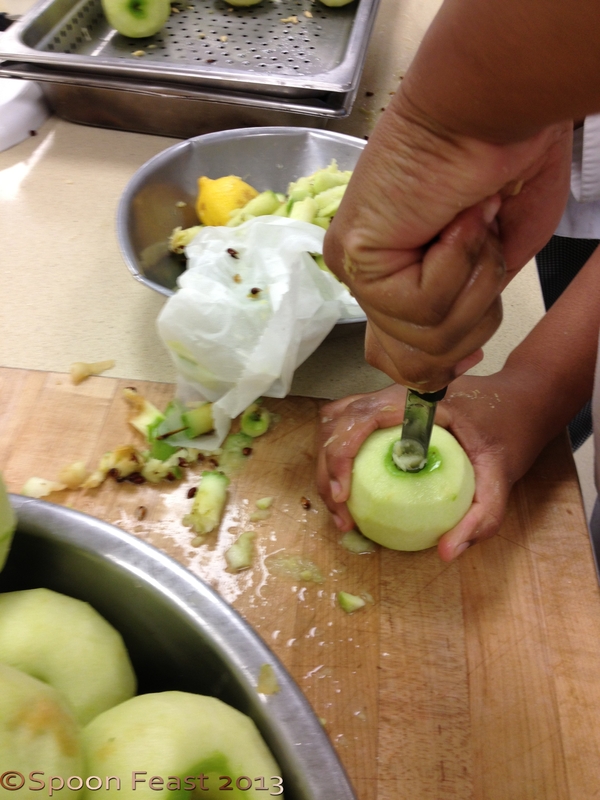 Pierce the pastry with a knife or toothpick the see if the apple is tender, if it is, it is done. Remove from oven. 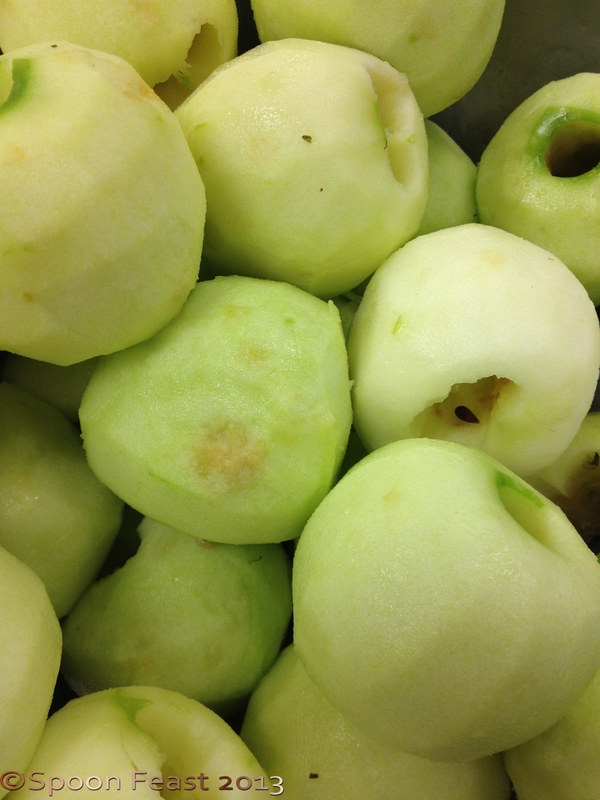 If not allow to cook until the apple is tender. If necessary cover the pastry loosely with foil to prevent it browning too much. Serve warm with whipped cream and caramel sauce. A few fresh berries add color to the plate. 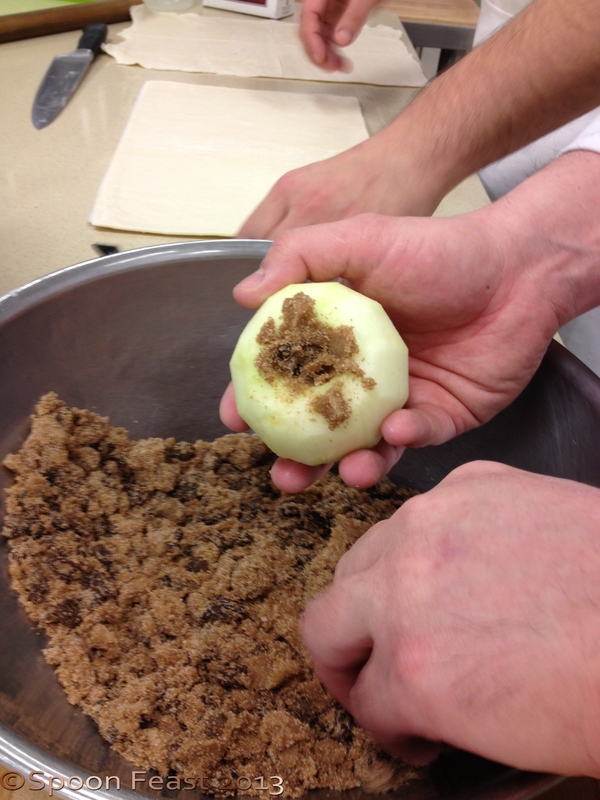 Stuff the cinnamon sugar into the center of the apple. Wrap the apple in puff pastry, seal seams tightly. 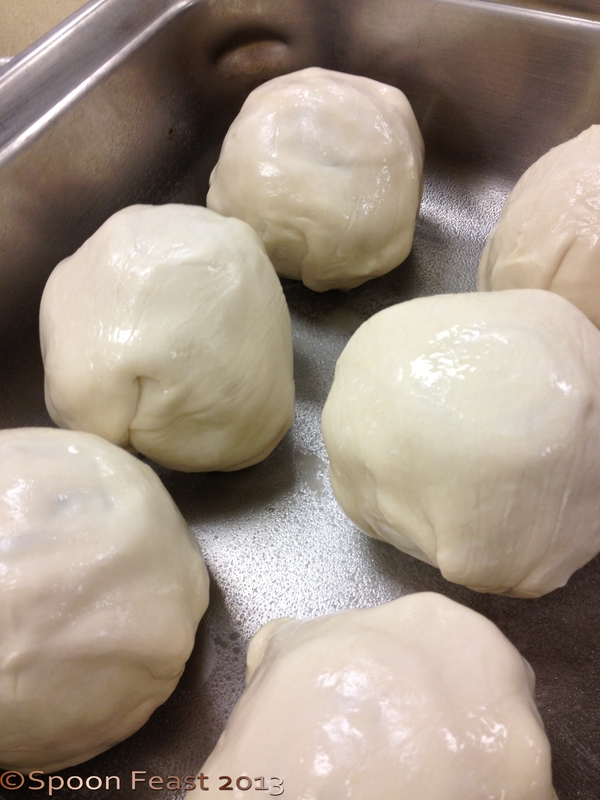 The Apple Dumplings are done when the apple is tender inside. Serve warm with vanilla and caramel sauce and a few berries for garnish. This entry was posted in Recipes and tagged Apple dumpling, Apple Dumplings, Brown sugar, Cinnamon, Egg wash, Granny Smith, Lemon juice, Puff pastry. Bookmark the permalink. Alrighty! Look for it soon! Oh yum, I have to make these this fall when the apples in our orchard are ready for picking. How nice you have an apple orchard! Make a lot and freeze them, they are fantastic on a cold winter night. They bring back great memories! A comfort food dessert for sure.